In patients with symptomatic carotid disease, better outcomes were seen with carotid artery stenting plus CABG. Researchers from several US universities used the Nationwide Inpatient Sample (NIS) database to compare 3 treatment strategies in 22,501 patients: combined CEA + CABG (68.4%), staged CEA + CABG (28%), and staged CAS + CABG (3.6%). The primary composite end points were defined as in-hospital all-cause death, stroke, and death/stroke. Their results revealed the following trends and outcomes. The CAS + CABG group demonstrated the greatest improvement between 2004 to 2008 and 2009 to 2012 (death OR, 0.19; 95% CI, 0.04-0.92; P =.04 and death/stroke OR, 0.33; 95% CI, 0.14-0.79; P =.01). In addition, in patients with symptomatic carotid disease, better outcomes were observed with CAS + CABG compared with both CEA approaches. For the combined CEA + CABG strategy, the adjusted death OR was 3.06 (95% CI, 1.10-8.52; P =.03), and the adjusted stroke OR was 4.07 (95% CI, 2.21-7.47; P <.001). For the staged CEA + CABG strategy, the risk of death was similar to that of CAS + CABG, while the adjusted stroke OR was 4.70 (95% CI, 2.60-8.48; P <.001). “Given potentially important improvements in medical management of carotid disease since the 1990s, as well as concerns about risks/ benefits of revascularization, particularly in high-risk asymptomatic elderly patients, further trials are needed to address this controversy [regarding the best revascularization strategy for such patients undergoing concurrent CABG],” the researchers concluded. Disclosures: Dr Feldman discloses that he is a consultant and speaker bureau member for Abbott Vascular, Medtronic, and St. Jude Medical. Borger MA, Fremes SE, Weisel RD, et al. 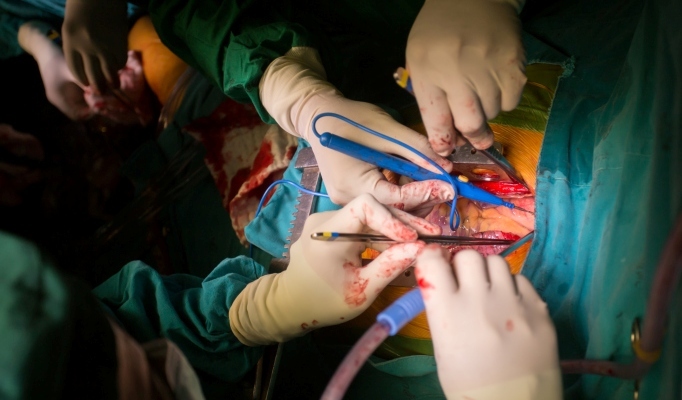 Coronary bypass and carotid endarterectomy: does a combined approach increase risk? A meta-analysis. Ann Thorac Surg. 1999;68(1):14-20; discussion 21. Schwartz LB, Bridgman AH, Kieffer RW, et al. Asymptomatic carotid artery stenosis and stroke in patients undergoing cardiopulmonary bypass. J Vasc Surg. 1995;21(1):146-153. Hines GL, Scott WC, Schubach SL, Kofsky E, Wehbe U, Cabasino E. Prophylactic carotid endarterectomy in patients with high-grade carotid stenosis undergoing coronary bypass: does it decrease the incidence of perioperative stroke? Ann Vasc Surg. 1998;12(1):23-27.